Alberta Briggs Morris, a life-long resident of Turner, Maine passed away peacefully on September 12, 2018. She was born November 15, 1928, the youngest daughter of Hugh Cary Briggs and Lucy Lee Adams. As a young woman, she met and married Nathan William Morris, a young man who worked on the farm of her parents. Alberta and Bill then took over the farm next door and continued to build a successful farm with a registered Guernsey herd, later changing to registered Holsteins. Alberta was not only a great mother to four children, she also worked outside on the farm, driving equipment and helping with all the barn chores and inside the home, she was known as a wonderful cook. Alberta belonged to the Ladies Circle at the Universalist Church of Turner where she made delicious chicken pies for their well-attended Chicken Pie benefit suppers. She was part of the Mothers Club of Turner and the Farm Extension. She also honed her baking skills for bread and rolls and created a recipe for the best cinnamon rolls you will ever taste. In 1970, they lost their home and barns to fire, although a significant loss, they moved their family up the road with Alberta’s father, Hugh and true to Alberta’s nature, she continued to work and succeed. After the fire, Alberta packed apples until she and Bill bought the old store at Turner Center and ran the store and post office. When their youngest son, Allan, graduated from high school, he went into business with his parents and they started dairy farming on Fish Street. 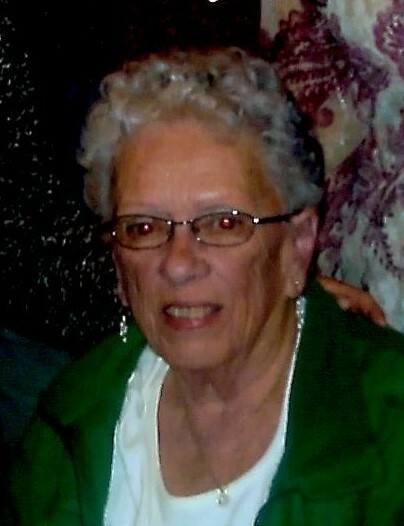 Alberta took on the bookkeeping for Naberta Farm, as she had done for Brigeen Farm Guernseys while taking a CNA course to become a CNA; she worked at several nursing homes until her retirement at 74. Alberta is survived by her two daughters Joanne M. Allen (Brian J. Allen); Tracy M. Leavitt (Steve Leavitt); and her son Gary W. Morris (Patricia); eleven grandchildren; twenty-one great grandchildren; two great great grandchildren; many special nieces and nephews. She was predeceased by her very special son, Allan Morris; her husband Nathan W. Morris; grandson Derek J. Morris; Brother Bill Briggs and his wife Alice; Sister Evangeline B. Twitchell and husband Ronald; and many good friends. Our mother was a feisty, hard-working wonderful woman and she will be missed. Enjoy your rest. Our family would like to express much gratitude for the amazing care given to her by the staff of the Clair Unit and Androscoggin Hospice; your dedication to her wellbeing was a blessing for her and our family. Her wishes are that graveside services will be held at Keenes Mills Cemetery, Turner, ME on Sunday, September 23, 2018 at 2pm.